This beautiful Caribbean Ocean Front villa is close to beach and has two on-site parking. The infinity pool is very suited for laps swimming. The whirl pool adjacent to the pool of the Caribbean ocean front villa offers sitting for 8 persons. This exclusive Caribbean ocean front vacation villa is located directly on the Caribbean sea at Jan Thiel in Boca Gentil Resort. It can be rent at a minimum of 7 nights. The villa can only be rent as a whole not per suit. The price will not change if you have less than 8 guests. 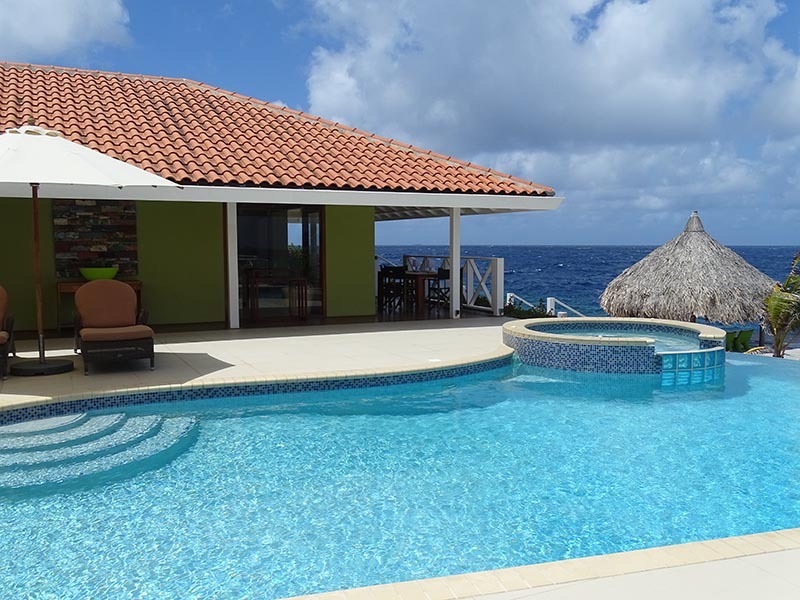 Caribbean ocean front villa – Sea Paradise Curacao is characterised for its bright Curacao colours, oval private swimming pool and a large terrace hovering above the sea. This exclusive Caribbean ocean front villa is situated near Papagayo and Jan Thiel beach. This ocean front villa is close to Willemstad, the capital of Curacao. The villa is rentable the whole year through, and starts on any day of the week. Rent this vacation home and check our availbility. The villa lies directly on the sea shore and near Jan Thiel beach. One can walk from the vacation home right into the beautiful Caribbean sea. To that end there is a staircase granting passage to the protected coral spots for diving in Curacao. At less than 100 meters from Boca Gentil Resort there is a diving school, making this vacation home an ideal place for scuba fans. The living room has two ceiling fans and two large sliding doors with a staircase to the private deck. 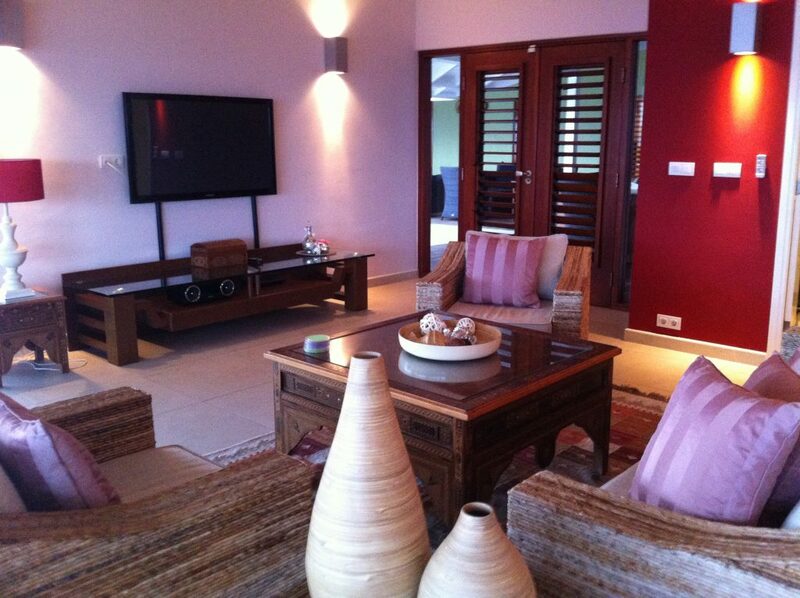 All four bedrooms of this vacation villa have double beds (180 x200 cm), 2 bedside cabinets and a spacious wardrobe. Curacao has several vacation resorts but none of them can beat Boca Gentil in terms of sea, beach and amenities. This Caribbean ocean front villa is spacious and situated on a fantastic spot on Curacao. In fact this make Caribbean ocean front villa on Boca Gentil Resort so popular and desirable among tourists. Caribbean ocean front villa offers a tremendous 180 degree panoramic sea view on the horizon and includes Willemstad the capital of Curacao. This view gives you an uninhibited sense of complacency. From our Caribbean ocean front villa it’s less than 2 minutes walk to Jan Thiel Beach. If you like to be among the local people then Caracas bay is the nearest beach for you, from your rental it is 7 minutes walk. Beside Caribbean ocean front villa has a parking place for two cars. 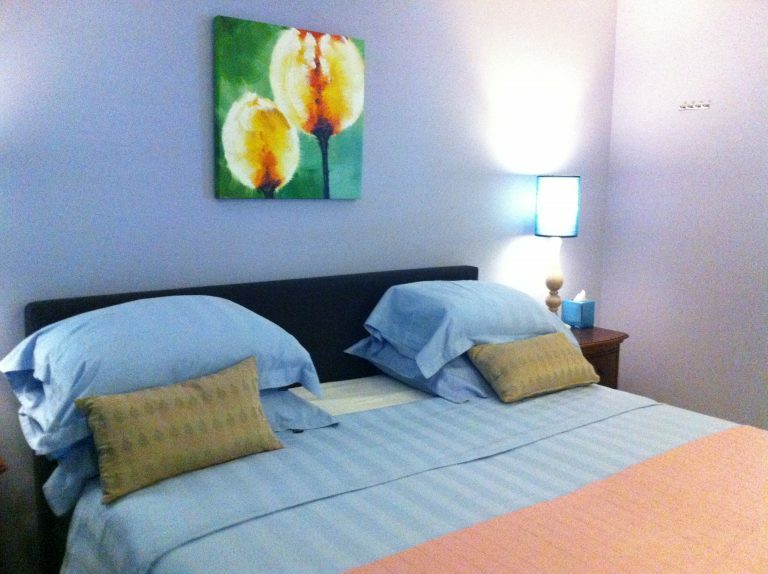 The master bedroom has a private bathroom and walking closet and a beautiful view over the pool and the Caribbean sea. 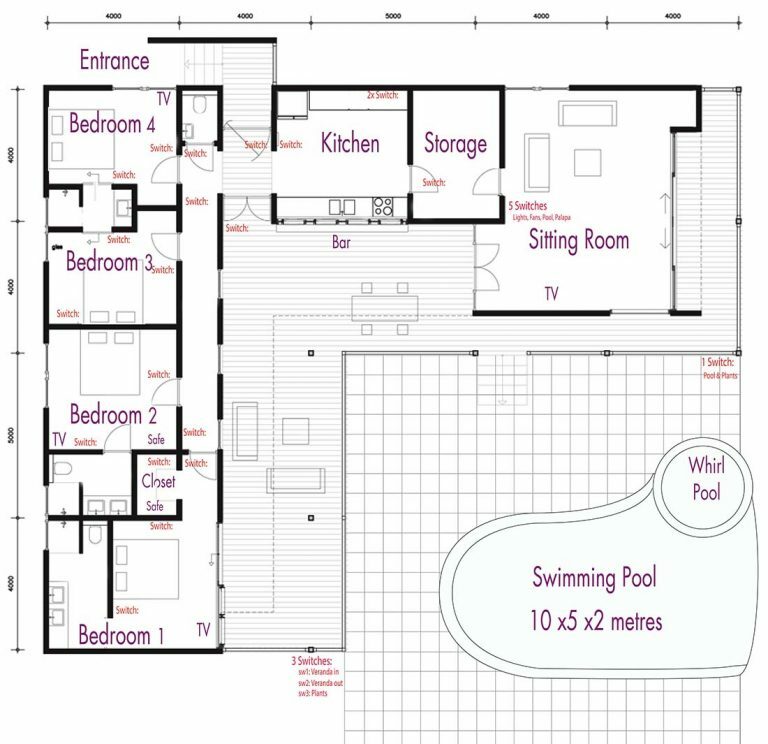 The second largest bedroom has also its own bathroom with two sinks, bedrooms 3 and 4 share a standing shower and share the guest toilet. 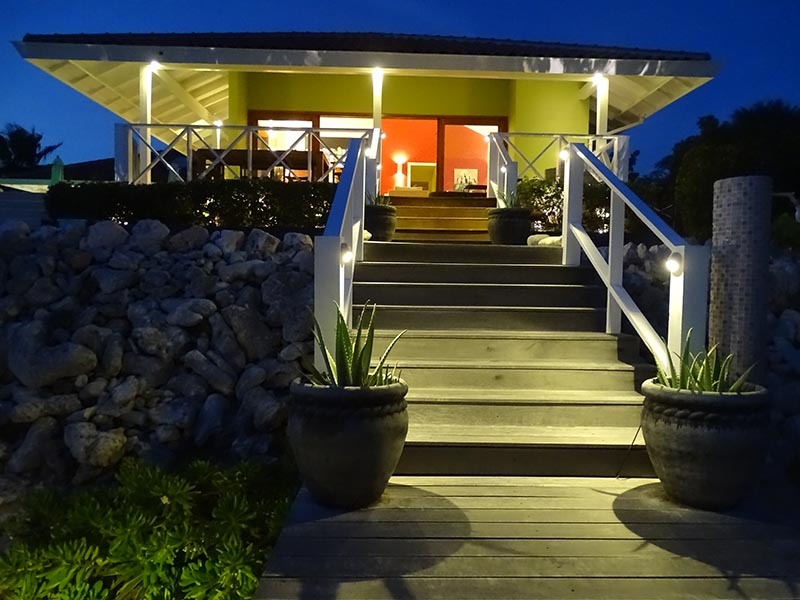 From the sea terrace a staircase grants passage to the blue Caribbean sea. Furthermore, the Caribbean ocean front villa has a large living room and a large pool deck. The living room it’s equipped with a sofa set (3-1-1), lounger, coffee table, and a 52 inch TV. Equally important is the kitchen of Caribbean ocean front villa it’s spacious and has a marble work top and is fully equipped with luxurious appliances. You can feel the typical atmosphere of Curacao. 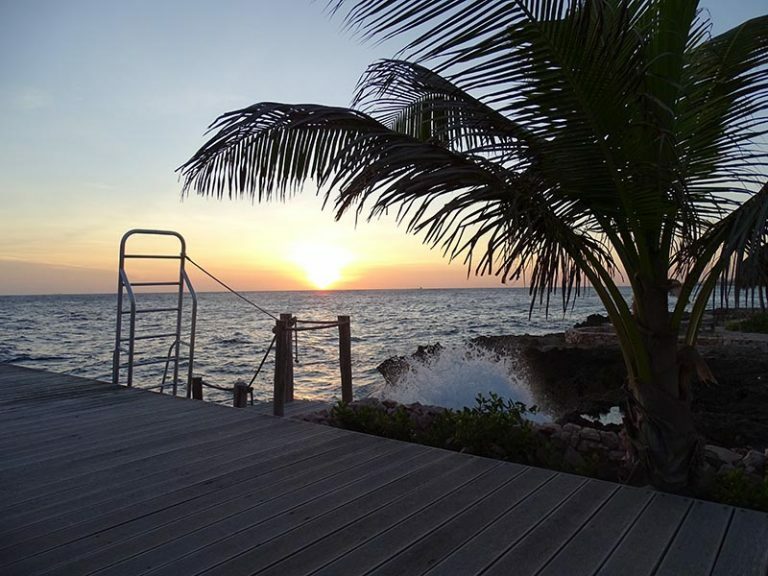 There are plenty seating for launching, to laze and to hang out around the villa, making this Caribbean ocean front villa the ideal spot on Curacao for rest, pleasure and to enjoy a relaxing holiday. Have any questions regarding Curacao or our Caribbean ocean front villa and availability please drop us a line.